GKgundamkit Professional Modeller Blog: RG 1/144 UNICORN GUNDAM "FIRST PRESS LIMITED EDITION"
RG 1/144 UNICORN GUNDAM "FIRST PRESS LIMITED EDITION"
【Pre-Order】 RG 1/144 UNICORN GUNDAM "FIRST PRESS LIMITED EDITION" can now pre-order @ GKgundamkit. It will release in AUG 2017. 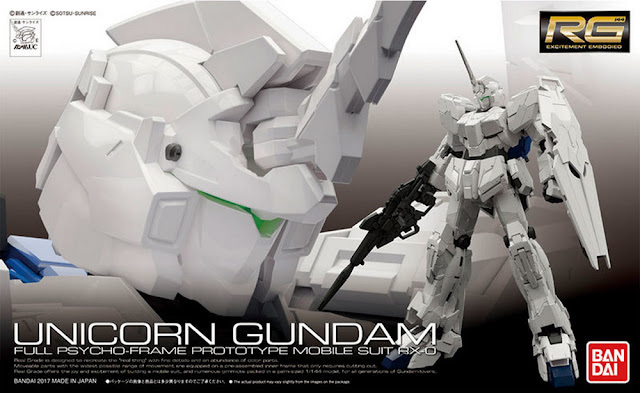 Buy NOW USD 39.01 @ RG 1/144 UNICORN GUNDAM "FIRST PRESS LIMITED EDITION"